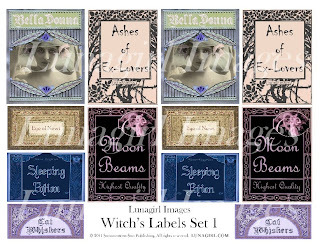 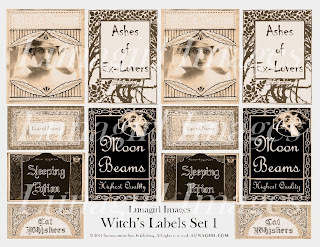 I really enjoyed creating these fun labels for witchy items like Mermaid Tears, Lover's Sighs, Bat Wings, Eye of Newt, and Ashes of Ex-Lovers (among other things!) 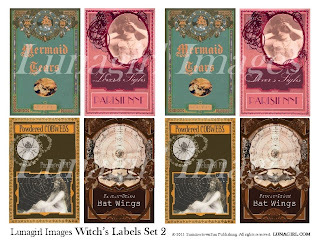 Perfect ingredients for all your potions and spells ~ add them to your apothecary! 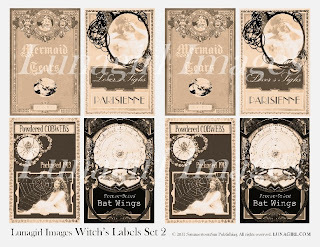 Available in sepia tones as well.